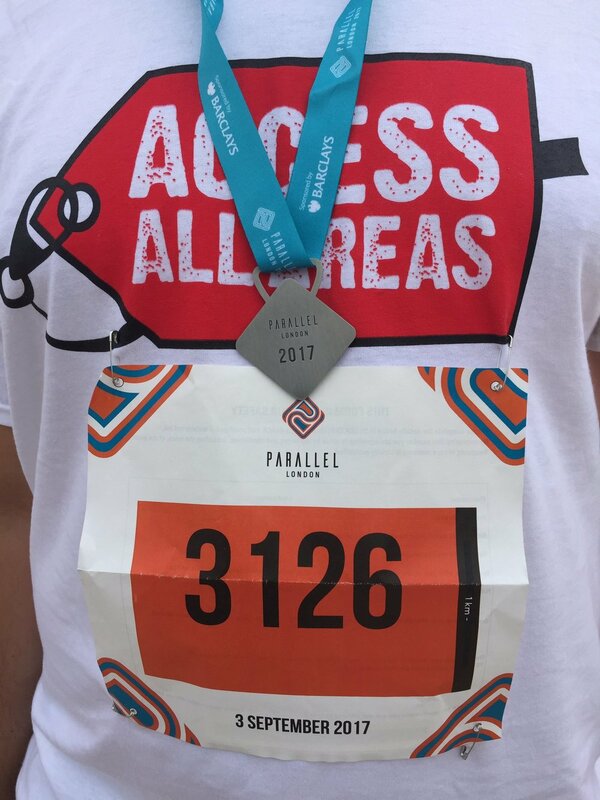 On Sunday 3rd September, 13 runners gathered to take part in Parallel London, the world's most accessible fun run, to raise money for Access All Areas! There were nine runners from CEDR, who chose us as their Staff Charity of the Year for 2017. Half did 5k, half did 10k and they raised an amazing £1,051.00 in just over a month. When you include this Gift Aid, this goes up to a massive £1282.50. 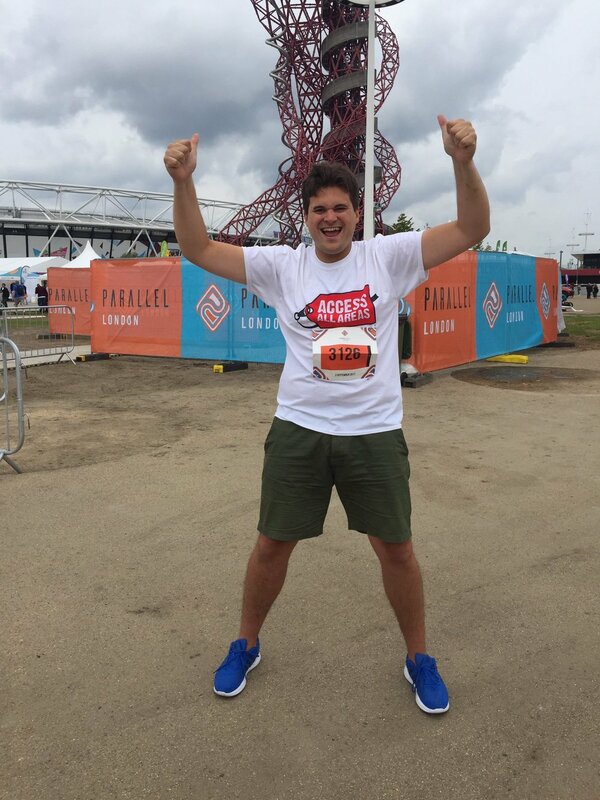 Matthew, a friend of Access All Areas, raised £472.00 - £553.25 including Gift Aid - by running 10k in an alarmingly quick 48 minutes. And he'd never done one before! Access All Areas' artists Adam and DJ also took part. 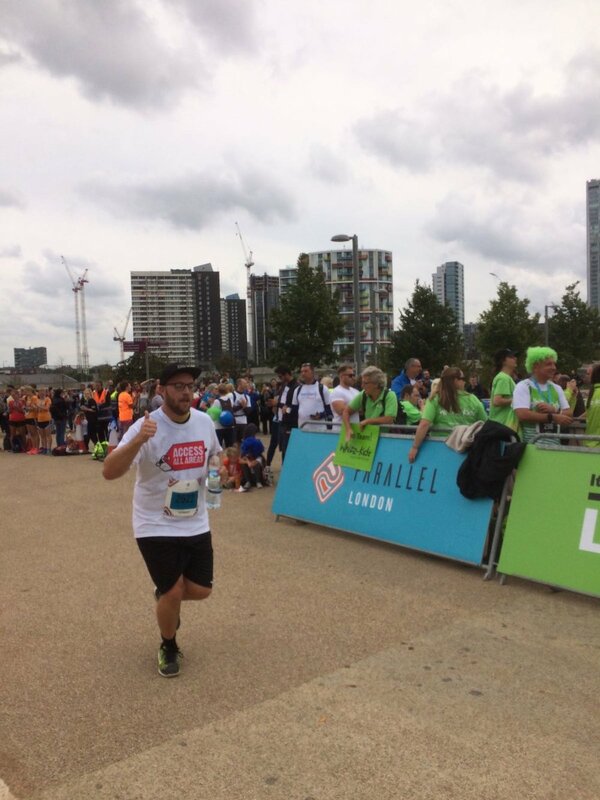 It was Adam's first ever run - and first ever sponsored event - whereas DJ had run a 5k for Unicorn Theatre earlier in the year. He's hoping to do a 10k next year! Under our Catalyst funding from Arts Council England, these amazing amounts will all get doubled (pre-Gift Aid), making a grand total of £3675.75. Not bad for a morning's work! And it's not too late: if you missed the chance to support us, you can click on any of the links above to donate. 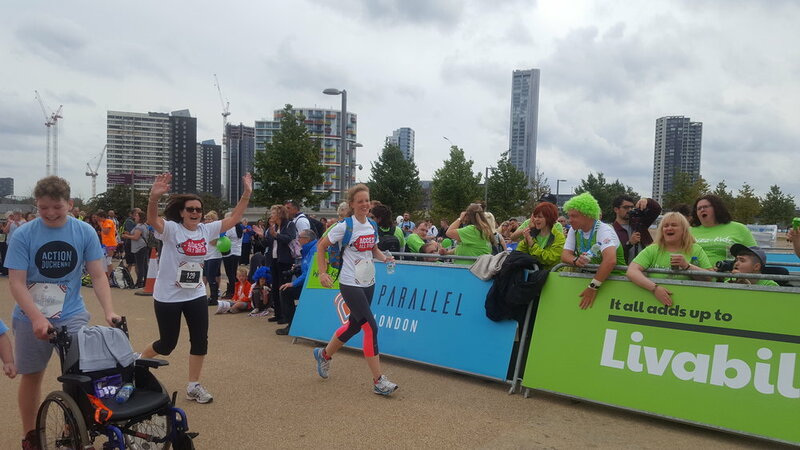 It's important to say a massive, MASSIVE thank you to all the runners, supporters, donors and the officials who were amazing help on the day. 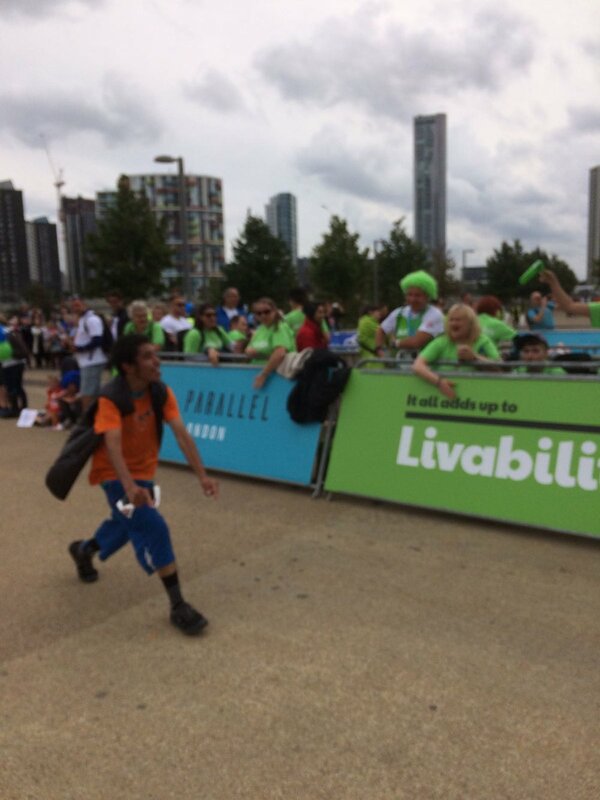 The event was like nothing else: people of all ages and abilities, from 18 months to 85 years, coming together to run, walk, cycle, push and be pushed in the most accessible event of its kind. There was also a great free family festival. We're already excited for next year! Fancy joining us? Or doing a sponsored event before then to support Access All Areas? Get in touch!